Heads up for owners of the digital version of Dishonored on PS3: The upcoming Dishonored Definitive Edition for PS4, which includes upgraded visuals and all the DLC for the original game, will be available as an upgrade priced at $19.99. This is twenty dollars cheaper than cost of the Definitive Edition new. 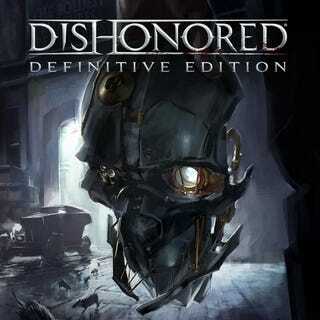 The PS3 version of Dishonored was free for Playstation Plus subscribers in the United States in April 2015, and this upgrade works for those who acquired the game through PS Plus at that time. If you, like me, have yet to play your free copy of Dishonored on PS3, it may be worth it to you to purchase the upgraded PS4 version at that price. To my knowledge, this is the first time a “remaster” title has been officially offered for a cheaper “upgrade” fee for those who own the previous generation version. For example, The Last of Us Remastered, Tomb Raider Definitive Edition, and Sleeping Dogs Definitive Edition did not offer an upgrade incentive price previously. No word on whether future remasters such as Darksiders 2 Deathinitive Edition or Uncharted: The Nathan Drake Collection will offer a similar upgrade path for owners of the PS3 versions.